Google recently acquired reCAPTCHA which had an unique approach to fighting spam. Captcha is that squiggly words/numbers that some sites ask you to enter to confirm you are indeed a human and not some bot trying to spam a website comment system or registration system. 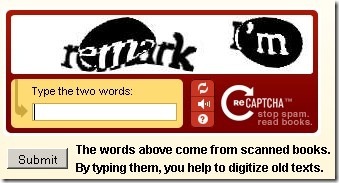 reCAPTCHA was a free captcha service that had a dual purpose of fighting spam as well as the data collected with the service was used to digitize books and newspapers. Google obviously has great interest in digitizing books and newspapers and this was a perfect fit for them and so reCAPTCHA was acquired. Google has made the reCAPTCHA service available again for publishers to use in their own hosted websites. 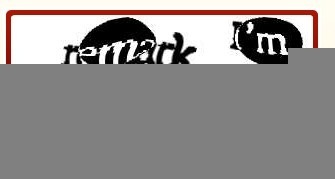 reCAPTCHA is available for many platforms including WordPress, Drupal, Joomla and PHP. You have to sign up for an account here first. Instead of trying to write your spam filter, you can offload your site’s spam filtering efforts to Google via reCAPTCHA. Check out this video from Luis Von Ahn, one of reCAPTCHA’s co-founder for more details on this service.